I’m not just cuckoo for coral. I’m also passionate about pink. 🙂 And these 10 playfully pink MAC summer lipsticks are purr-fect. 7. Frost Lipstick in Pink, You Think? See anything ya like? My favorite one of these has to be Candy Yum Yum. BAM! I love Candy Yum Yum! Fusion Pink is a big favorite of mine, too. All of the pinks you show here are very pretty. I love the first Miley Cyrus Viva Glam, too. Candy Yum Yum is a classic. It’s so pretty with simple black winged liner and big lashes. Ahh, I remember liking that Miley VG too! 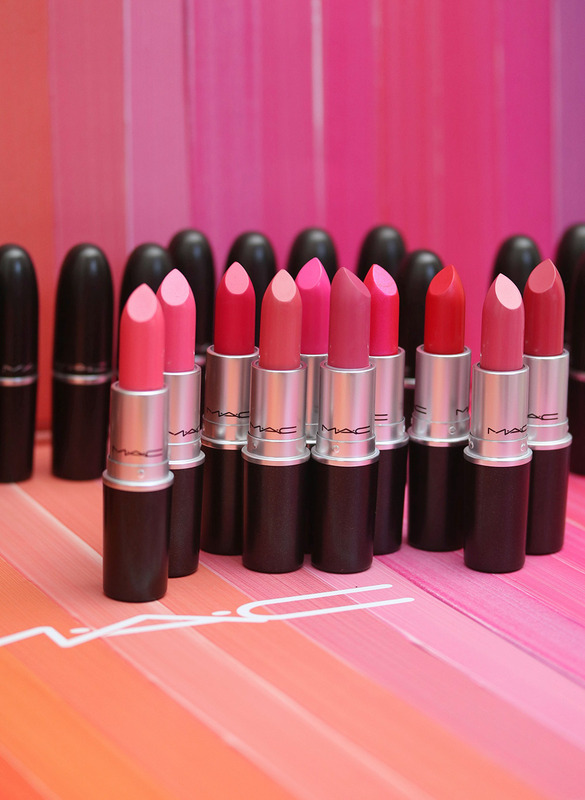 My favorite MAC pink would probably be All Fired Up. I should probably get myself a tube for summer haha! Pink Pigeon is great! My all-time favorite MAC pink lipstick is Relentlessly Red (well, it’s at the intersection of pink, red, and coral!). Ooh, and Please Me is lovely too! I am totally not into pinks, the only thing I wear is fuchsia. But they suit you so well!